David Wright has represented companies and executives in business disputes for more than 30 years. 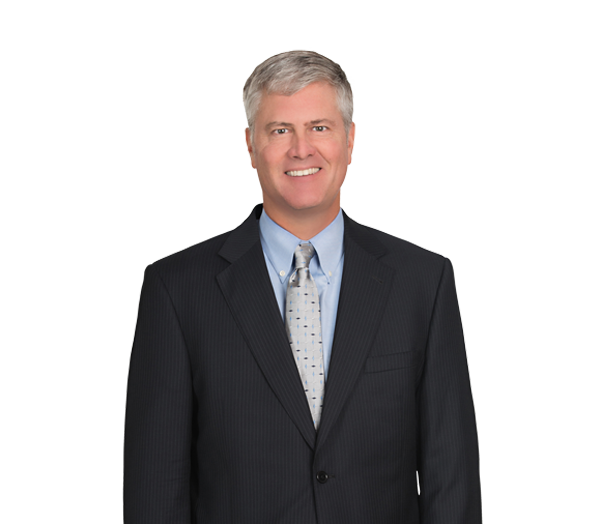 He is editor of the firm's Class Actions Brief blog, and he regularly represents defendants in complex and varied securities, corporate and ERISA class and derivative actions, as well as corporate investigations. David has handled numerous noncompetition and trade secret disputes, employment disputes of all kinds, and executive compensation and severance matters. David has extensive experience handling cases throughout North America defending clients facing product liability claims that cause significant property damage or personal injuries. He has handled numerous high-stakes contractual and commercial disputes. David also prosecutes claims for policyholders in insurance coverage disputes, including those relating to long-tail toxic tort exposures. David has represented the administrations of four different North Carolina governors in significant and groundbreaking constitutional and statutory litigation. He served as lead counsel representing Atrium Health in successfully resisting attempts by Mednax to enjoin termination of a $100 million anesthesiology contract. David serves as chairman of the board of trustees of the Morehead-Cain Foundation. Represents public company in nationwide class action alleging gender discrimination in setting store manager salaries. Represented public logistics company in obtaining injunction that prevented eight employees from working for competitor. Represents multiple public and private businesses in cases alleging sexual harassment and gender discrimination; violations of wage and hour statutes; race, gender and age discrimination; and/or retaliation. Extensively represented executives and businesses relating to the negotiation and finalization of comprehensive executive compensation agreements, including employment contracts and severance arrangements. Represents public pharmaceutical company in litigation attempting to prevent merger. Represented nationwide energy company in lawsuit filed to enjoin merger with competitor. Represented special committee in securities class action alleging breach of fiduciary duty in "going private" merger. Case dismissed. Represented public energy company in 10b-5 and "tag along" ERISA class actions filed following a decline in the company's stock price. Cases dismissed on the pleadings with prejudice. In re Duke Energy ERISA Litigation, 281 F. Supp. 2d 786 (W.D.N.C. 2003). Obtained, on behalf of a private software firm, a multimillion-dollar verdict arising out of enterprise software dispute, including treble damages for unfair and deceptive trade practices. Represents global manufacturing company in dispute with international firm concerning multiple issues arising from supply of critical parts to nuclear power facilities. Represents public company in federal court action arising from death of farmer while using agricultural equipment. Represents lighting company presented with multimillion-dollar fire claims arising from alleged product failures. Represented international manufacturing company in cases involving alleged malfunction of circuit wiring in heating units, including property damage and wrongful death claims. Represented global manufacturer in conjunction with wrongful death claims arising out of carbon monoxide poisoning from boiler operation. Represented global manufacturer in suit alleging product failure resulting in deaths of two small children. Represented international company in multimillion-dollar dispute with insurer regarding payment and billing issues associated with retrospective premium program. Federal district court held that portion of billing program by insurer was unlawful and not in accord with policy language. Represented global multi-industry manufacturer in dispute with insurer group concerning allocation and contribution issues arising from asbestos claims, including multifaceted coverage and lost policy issues. Achieved cost-sharing agreement with no contribution of policyholder. Represented public company in bad faith and breach of contract claim arising out of failure to provide coverage under vendor's endorsement policy.